I wrote about the benefits of HippoTherapy previously and how excited I was to get Hailey involved. We have finally been able to have this be a part of Hailey's many therapies. 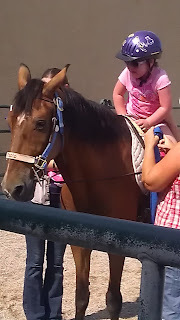 Bright and Early on Saturday mornings we head out about 45 minutes away from our house to go see, "Hailey's Horse." Now I won't lie. At first this was pretty scary for Hailey and me both. They pretty much just throw your kid on a horse and expect it to go well and it did not go well for us. 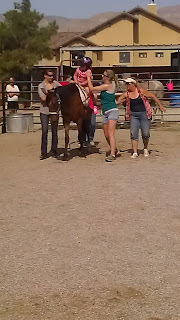 I thought they would introduce her to the horse tell her what she was going to do and so on...but no. That did not happen. 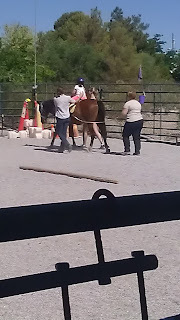 So the first lesson had a lot of tears involved but they promised it would get better. I certainly wanted to quit and find another horse therapy place, but Josh kept telling me, "they know what they are doing." The first 2 lessons were really rough, but then Hailey had her relapse and I was 95% sure we wouldn't be able to participate anymore. 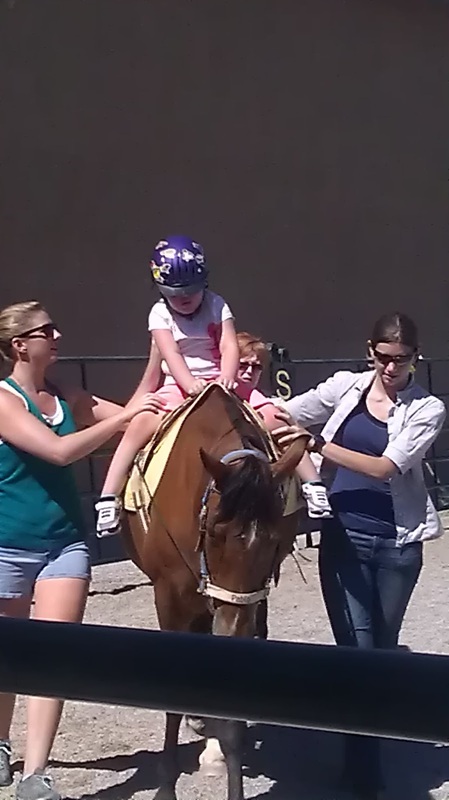 They do NOT do tandem riding and Hailey was having such a hard time holding herself up. 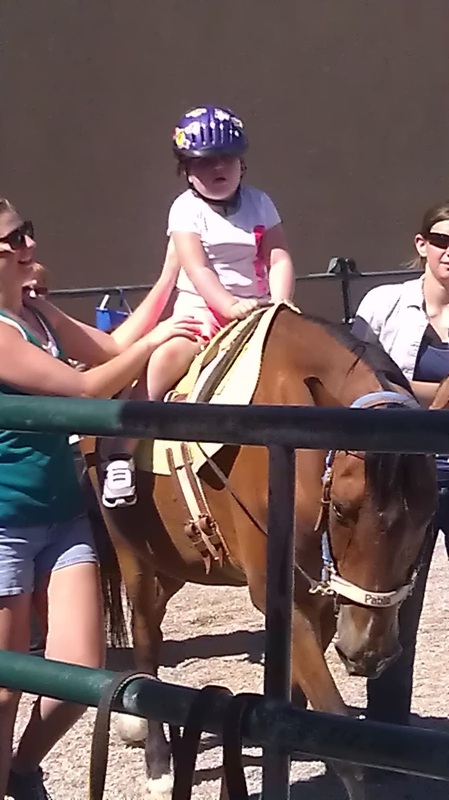 She spent the whole time crying and laying on the horse. I felt so bad for her. 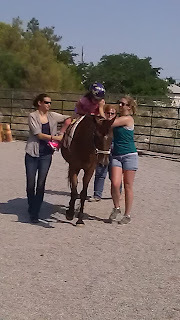 When I asked them to hold her up, they told me that she has to want to do it on her own. That's hard to hear because I wanted to say, "She wants to but SHE ISN'T ABLE TO!" When she did sit up her head kept bobbing around and I kept asking Josh to tell me if this isn't for her, and he kept saying, She'll be fine." Last week she did a lot better, but it was so hot out! She did hold herself up 75% better then the week before. She did lay forward a few times and cry, but again her strength isn't there right now. Her head did NOT bob as much as it did last week and we were happy to see that improvement! We get a week off this week so we won't be able to see Pablo because of the holiday. We will be back the week after and see if things will get even more easier on the both of us! We won't know unless we try. I have the Biggest Littlest Pet Shop Fan!